To develop a deeper understanding and appreciation of dance, creative movement, and human expression through active participation and to inform and cultivate the next generation of artists and audiences. 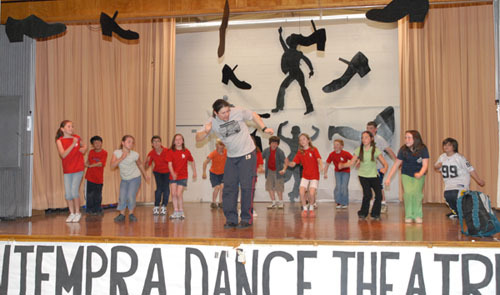 Led by Company Founder and Artistic Director Gail Vartanian along with professional dancers, the Company's Education Programs engage girls and boys, experienced dancers and novices, young children through adult, from a wide spectrum of neighborhoods, economic circumstances and ethnic backgrounds. ContempraDance Theatre's Education Programs include workshops, master classes, residencies, school performances, youth festivals, collaborations with schools and community programs, audience development, and other unique programs tailored for community needs. Programs are offered across disciplines in traditional modern styles (jazz, ballet, tap, modern) and urban contemporary (funk, break, hip hop). 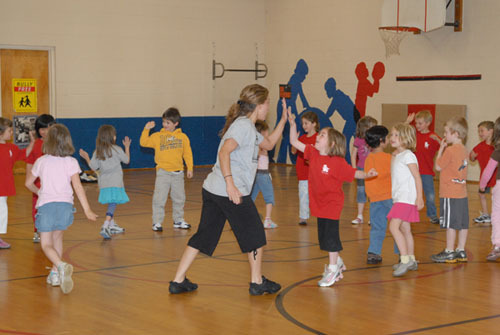 Working with kindergardners at Devon Elementary School, 2007. 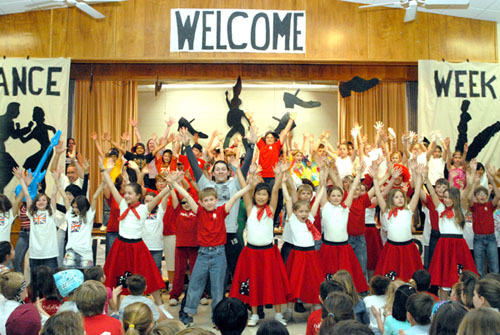 The Final Performance by 4th graders at Devon Elementary School, 2007.